This built is for players who wanted to be a holy priest and yet wanted to grind faster and also solo Nightmare Revenant’s Vault. I have tried a few builds myself and I find this build is a good one. This build is good for soloing vault, supporting the tanker, abuffer and able to grind fast (Level quickly, easy gem hunting, dust hunting). This is My built until I am lv 50. 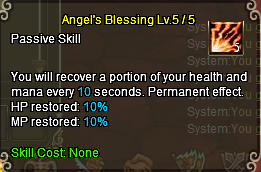 At Lv 50, you will Max out Angel’s Blessing. 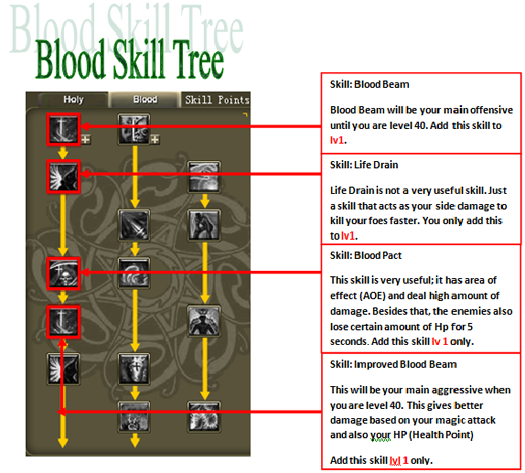 This will totally help you In your NM Vault and also Blessed bath as it recovers 10% of your HP and SP every 10 seconds. Also At lv 50 You will noticed that this built uses 28 Skill points right? When you got only 25 to use. I suggest you Deduct saint strength to level 1 now Using SOT (Sand of time- an item that resets skill)from lv 50 quest. 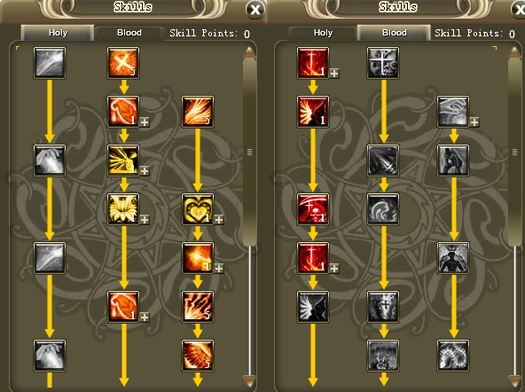 And when you are level 60, you should have a Skill tree that Looked like this!! 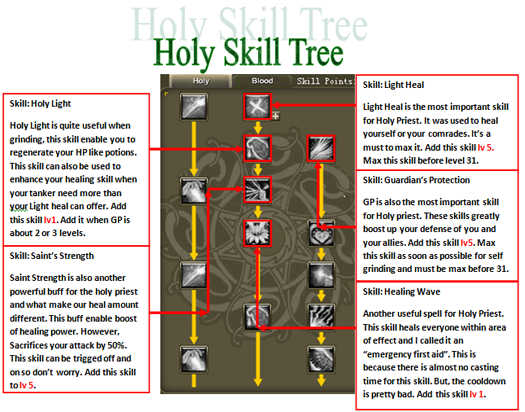 Blood Beam is kinda useless for a Holy Priest, Light Beam is tied to your Healing ability, and only takes 3 Skill points to get Improved Light beam. Just because it costs MP, does not mean it is worse then Blood Beam, if you go with Epic Armor instead of PvP Armor, you will have a higher Heal.